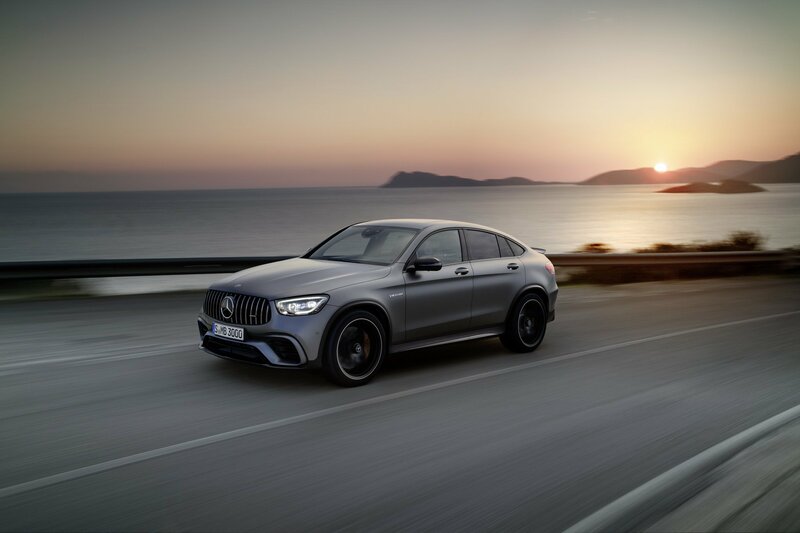 The Mercedes-AMG GLC 63 and GLC 63 S Coupe have been revealed ahead of the NY Auto Show, both sporting new headlight / taillight designs, an AMG grille, an updated sports exhaust, a matte gray paint option, as well as a fresh set of optional 21-inch wheels. 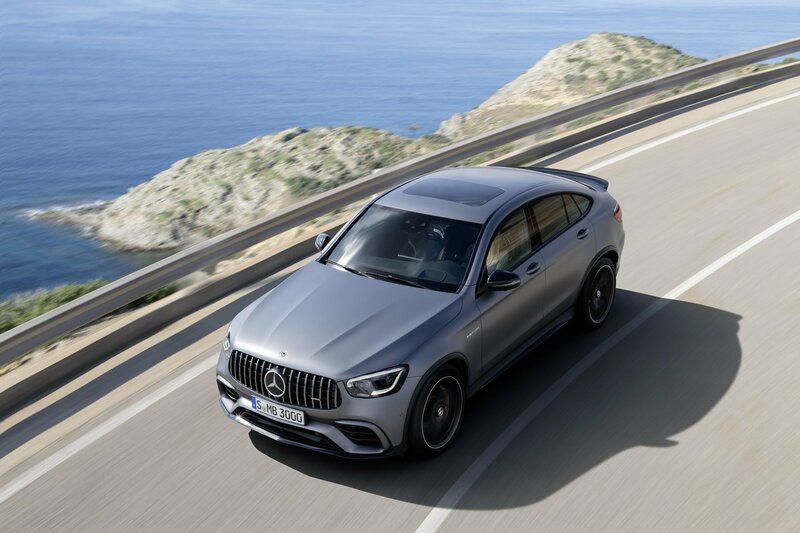 Power comes from a twin-turbocharged V-8 in the GLC 63 that generates 469 hp and 479 lb-ft of torque, while the S gets 503 hp and 516 lb-ft, mated to a nine-speed automatic, meaning 0–60 mph times of 3.8 seconds and 3.6 seconds, respectively. Read more for an in-depth video, additional pictures and information. 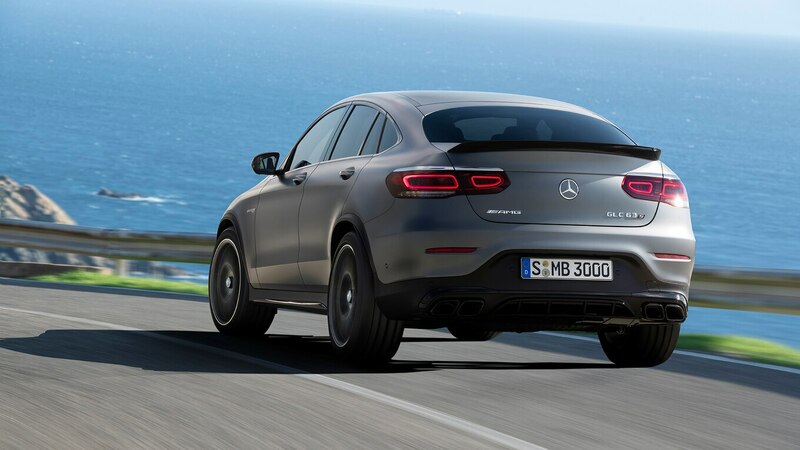 “In addition to the cosmetic changes that the GLC 63 received, the biggest news for 2020 is the extra technology that Mercedes has given its all-wheel-drive super-CUV. 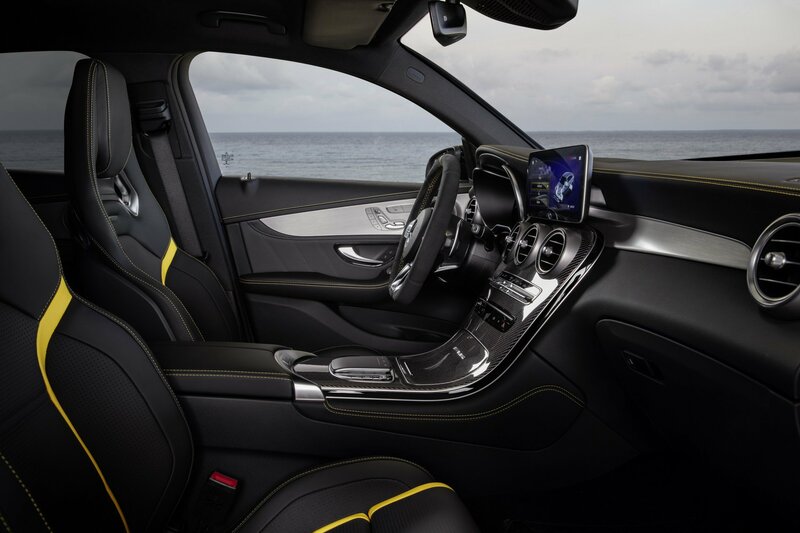 That includes the latest version of Mercedes’ MBUX infotainment system and a new AMG steering wheel. 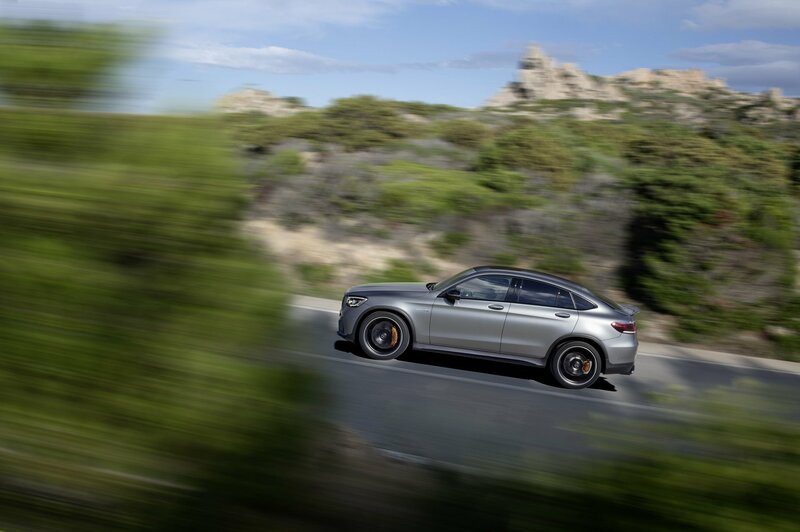 You also get either five drive modes in the GLC 63 and six drive modes in the 63 S, with one addition being a new Slippery drive mode that should make the car easier to drive in the rain and on other low-traction surfaces,” reports Motor Trend.